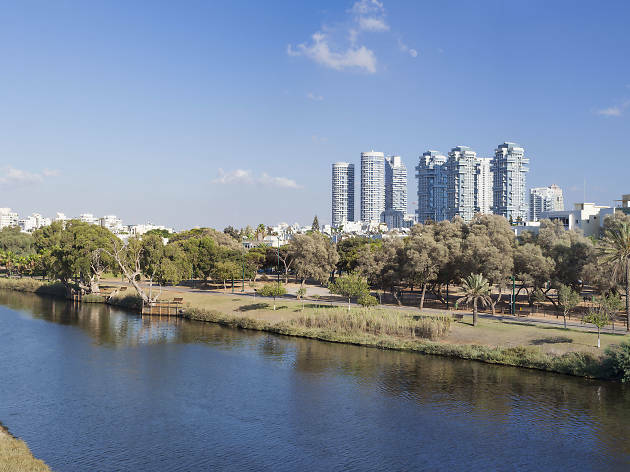 Tel Aviv’s Hayarkon Park is a favorite for those who want to take a breather from the hustle and bustle of the city. New York has Central Park, London has Hyde Park, and Tel Aviv has it’s very own Hayarkon Park. 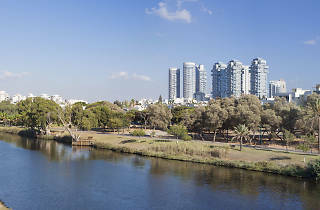 The popular green lung (also known as Ganei Yehoshua Park) is nestled in the north of the city with the Yarkon River running through it. Swathes of joggers, cyclists, dog walkers and young mothers taking a stroll, pack the park every day, making it come alive with its own unique personality. Pitch a spot on the grass and spend the day basking in the sun while watching the beautiful people of Tel Aviv go by – something we definitely recommend. But if you’re up for something a little more adventurous, this urban park has plenty on offer for nature lovers right through to extreme sports enthusiasts. Tucked away in the eastern part of the park lies one its biggest surprises – a Rock Garden hosting over 3,500 species of plants, including a massive area dedicated solely to cacti, interspersed among different rock formations. Just across from the Rock Garden is a five-acre Tropical Garden full of palm trees, orchids and vines as well as a lake full of fish. Not far away, also on the east side of the park, is a bird safari known as Tsipari, set in lush gardens with a beautiful mini-lake, as well as a petting zoo, a bird sanctuary, and a large soft play area for kids complete with a climbing apparatus.